How to convert iTunes protected music files to MP3 format? Here is a short tutorial showing you how to convert iTunes protected M4P files to MP3 fast and easily using M4P MP3 Converter software. 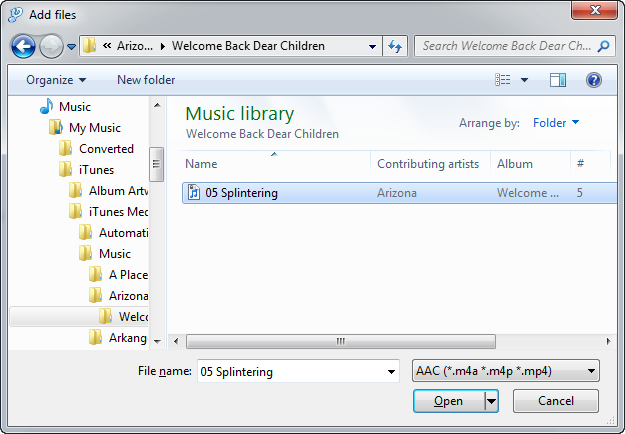 You can also use this tutorial to convert protected M4B or WMA files to MP3 as well. This converter supports unprotected WMA, OGG and WAV output formats too. 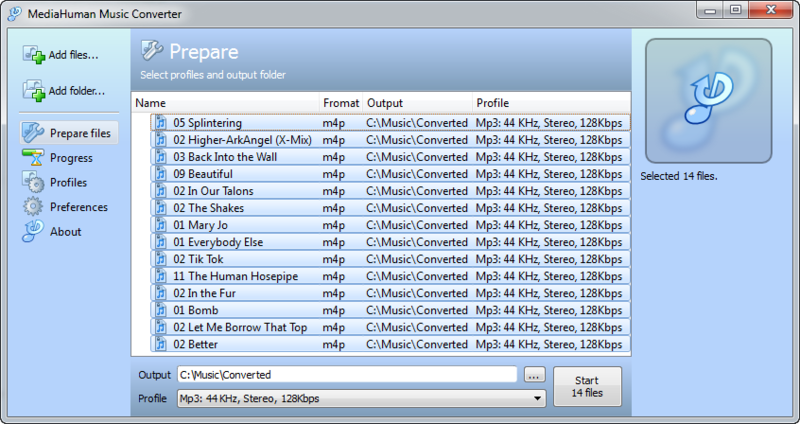 You need to download and install M4P MP3 Converter. Open iTunes and select "Authorize Computer..." from the "Store" menu. 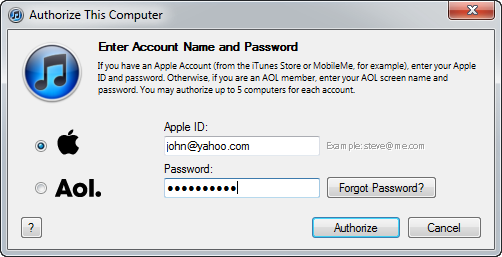 Enter your username and password and press "Authorize" button. You can skip this step if you want to keep converted files in the same folder as your original M4P files. Wait for few minutes. That's it. You have just converted your M4P files to MP3.